Another simple but tasty recipe that you can whip up during in the week to use up any chicken leftover from a Sunday roast. It doesn't take too long, although does require some attention! Start by frying your chopped onion in a knob of butter, with a clove of garlic finely chopped or a squeeze of puree. Once softened add the asparagus (chopped in half if you want) and the rice and stir into the butter so it's all coated. Add the wine and stir until it has reduced, then start to add the stock a small amount at a time. This does take some time and attention - keep adding the stock and stirring until the rice is cooked. It shouldn't be a squidgy mess though, the rice should still have some bite. This usually takes about 25 minutes; keep adding the stock until the rice has cooked, you may not need the entire amount. Five minutes before the end (when you think your rice is almost ready) add the chicken and peas to warm through. 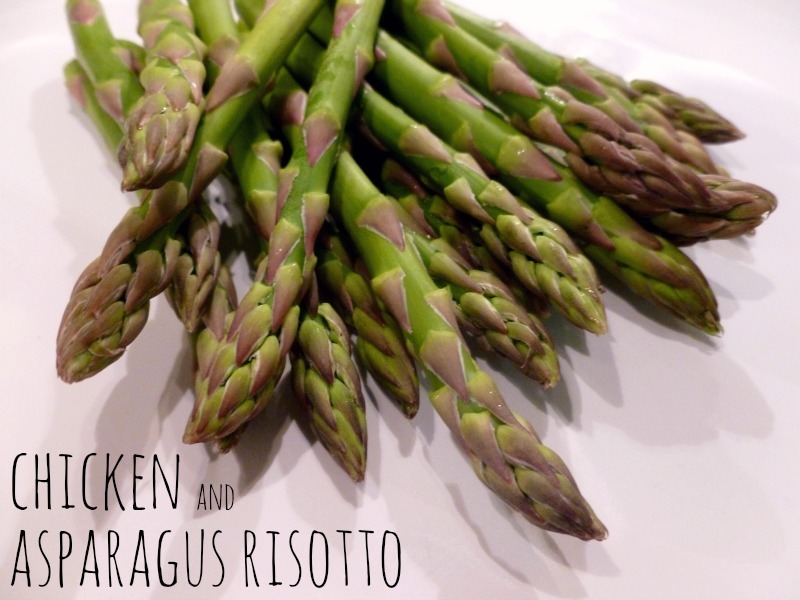 The asparagus should still be al dente and not over cooked. Serve in warm bowls with shavings or grated parmesan to taste, and enjoy! You always make such tasty food! 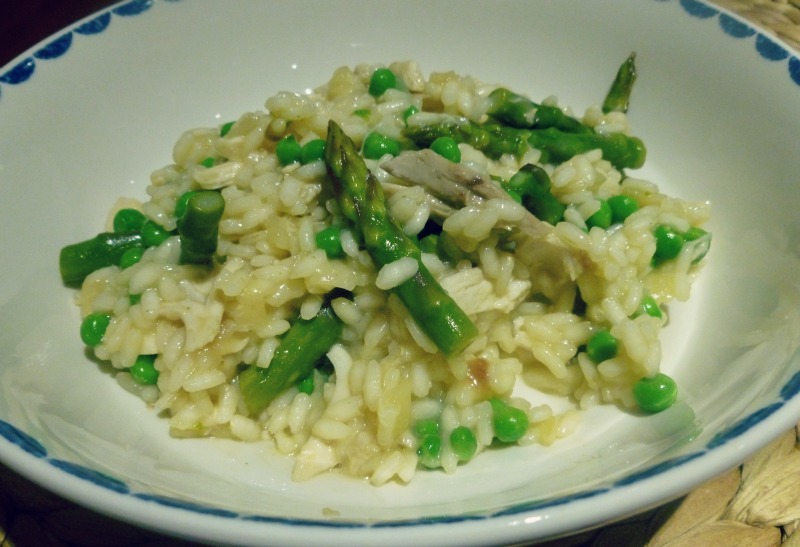 YUM I love asparagus risotto, this looks so tasty! Mmmm I love risotto, haven't had one in ages! I especially love chorizo and red wine risotto, a must try! This looks so yummy, I love risottto so will definitely have to try this! Nom, nom! I love asparagus.